Shortly before 7 a.m., Santa Barbara police responded to a report of a construction accident at the property owned by Kenney Construction. Officers discovered the body of a man who was killed instantly in the accident. 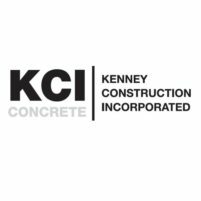 Kenny Construction specializing in concrete, structural steel, drilling, shoring, and electrical. Officers are not releasing the name of the deceased man at this time or further information about the accident. Officials from both Cal-OSHA and the Santa Barbara County Coroner’s Office ware investigating the death.